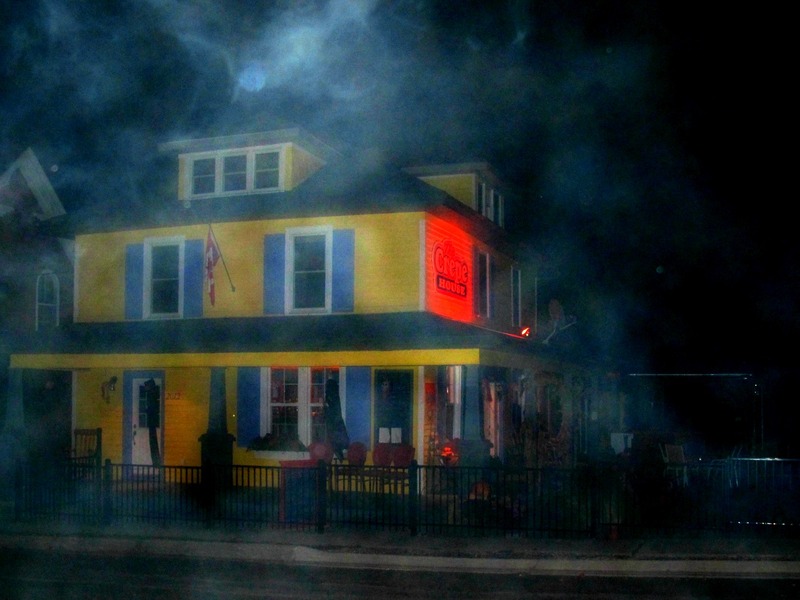 The Crepe House, one of Port Dover's premier eating establishments, not only offers exquisite cuisine, but also a generous helping of ghosts. This Food Network featured restaurant is located in one of the most haunted towns in Ontario - Port Dover, in Long Point Bay, Ontario, Canada. History abounds here from the War of 1812, raids of the Fenians after the American Civil War and rum runners that made the treacherous crossings during prohibition. The Crepe House, built in 1880, has had a colourful history of its own. ParaHunt had the privilege of interviewing the current proprietors and conducting our own paranormal investigation. Guest investigators - Spirit Medium, Shannon from Port Ryerse and Maple Leaf's Feature Writer, Kiersten. To experience Ghost Tales from The Crepe House, click here. Click here to view our investigation photo album. To view our pictorial slideshow, click here.